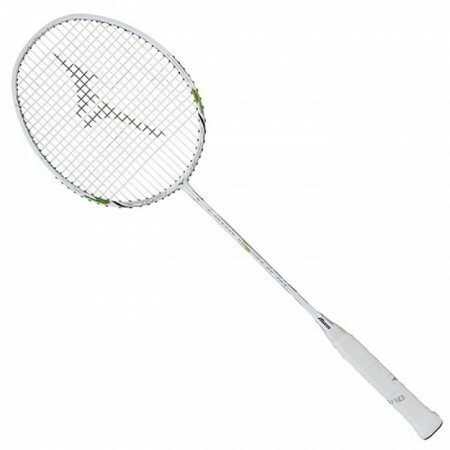 Although I played badminton for a long time, I used Yonex racquet all the time. This time I bought Mizuno's racket for the first time but it was a correct answer. It feels good to hold, it fits very hands. And anyway it is lightweight and swing speed also rises and pushes in without driving. As a feeling, the hardness of the shaft is a little soft, and I like my favorite ball. Because the weight is a light weight top light and design that emphasizes operability, I think that swinging is also very good and I am using it as a fun racket. As a feeling I used, I feel that the hardness of the shaft is somewhat softer than even and the ball holding is good. The weight is also lightweight top light and operability is also good, so it's easy to swing out. I am not very confident in my strength, but this racket is very easy to use. When I was using a different racket before, my arms were tired during the game, but after replacing this racket my arms became less tiring and able to focus on the game. It is a racket recommended for women who are not confident in strength and women. Romance	（Experience：６〜１０ years）	It is light and easy to use. It is very light and easy to use, especially it is impressive that the reception is easy to handle. I grip is easy to grasp and I am not tired, I liked the feeling that the shaft swung well well. Smash is also satisfactory as the smash speed can be increased because it can hit the restrained smash. Badminton's experience is about ten years. As a real feeling, the hardness of the shaft is somewhat softer than Even, so it seems that the sphere origin is superior. Also, it is a lightweight top light, and because of its superior operability, it is also very well when swinging out. As a matter of course, the person who is mainly doubling is not a racket that strikes even a powerless woman. If it is 4U, there is only a grip size G6, and you have to make it thicker by yourself. Strictly speaking, it seems that this is a difficult point, but it is not something that will have much impact.